If you’re looking for some tips when it comes to fishing for Bluegill, then I’m glad to tell you that you’ve come to the right place where you’re going to learn everything there is to learn when it comes to both Bluegill and Bluegill fishing tips. Once you have read this post from start to finish, you’re going to be as close to an expert as you can be when it comes to fishing for Bluegill your next time on the water. A lot of people frown upon looking for tips and tricks when it comes to fishing for certain types of fish but I can tell you right now that even the most advanced fishermen can benefit from some of the information I’m going to discuss below. First, you’re going to learn all there is to know when it comes to fishing for Bluegill and secondly, you’re going to learn all of the different tips and tricks so that you can catch as many Bluegill fish as you can the next time you go out on the water. Before you learn how to catch a certain fish, it can be important to get a decent understanding about the fish itself and the ins and outs. For most fishers, the Bluegill is one of the most easily recognizable pan fish and they’re unique in the fact that they have little to no fear and they aren’t afraid of most fishermen. In fact, it’s not uncommon for humans to actually be able to make contact with the fish in the water. For most fishers, they use Bluegill as further bait to help catch some of the larger fish and they are great for beginner fishers and children because they are easily caught and can help to peak interest. 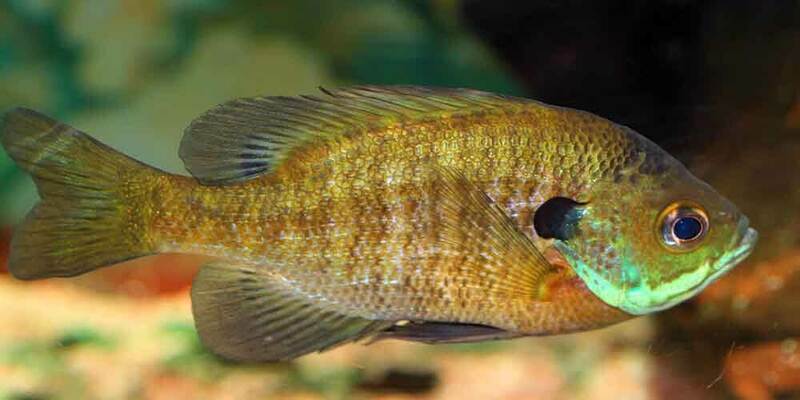 ​As you will see discussed in more detail below, Bluegill are most commonly found in shallow water as well as slower moving parts of a river or stream. You’ll have no problem identifying them thanks to the dark blue color and the olive colored band on the size. On the high side, you’ll find that they grow to around 12 inches long and a little more than four pounds. Where there is one Bluegill, there will be multiple since they are classified as a schooling fish. Bluegill will eat just about anything and they are most active between May and August. Bluegill are one of the more tricky ones to catch so you want to make sure that you use the right lure and when it comes to this, you will have some of the most success using some of the smaller artificial lures. When it comes to the lure, there are a couple different options for you to choose from so you can go with whatever you think is best. If you can find one that specifically mentions Bluegill, I highly recommend going with that. As most fishermen already know, there isn’t much that a Bluegill won’t eat, which is in your favor when it comes to fishing for them. Bluegill are going to go for just about anything but some of the bait will work better than others. If you’re looking for some of the biggest Bluegill, then try crickets because they are a great option. If not, you can go with beetles or wax worms and get good results. Don’t let people tell you it doesn’t matter because when it comes to fishing for Bluegill, the size of your jig is important and you want to make sure you are using nothing larger than 1/32 ounce. When you use live bait, you can go with a #8 opr a #12 hook and get great results. As a bonus, both of those hooks are relatively affordable and won’t set you back a ton. It’s important to remember that there is no need to be in a rush when you go fishing, especially when it comes to Bluegill. Make sure you go slow with your lure because Bluegill are most likely to eat something that is moving slowly. These types of fish are not used to going after something that is fast moving because they do not hunt for their food very often. If you get it slow and steady at all times, you’re going to have a lot more success. Once again, this should come as no surprise but as fisherman, you have to be ready and prepared for whatever you are going to face and if you’re looking for Bluegill, you want to make sure you’re prepared. The right rod and fishing line are a key part in catching the Bluegill so make sure you are using equipment that is small and lightweight for the best results. In most situations, you’ll find that a light spinning fishing rod is going to be the best choice for you. 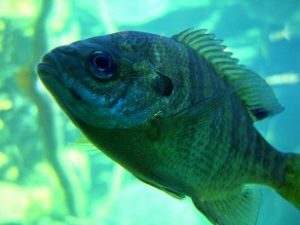 Just reading the point without any context might seem a little bit confusing because you have to feed them in order to catch them, but the whole premise behind this point is that Bluegill are one of the most well known fish when it comes to stealing bait so you want to make sure you do everything you can to prevent this. If you are looking for the Bluegill and using worms, you need to make sure to present that bait directly on the hook to help prevent any possible thievery. Additionally, you should try and place the worm onto the hook in some type of a pleated manner because it will still work to attract the Bluegill but it will also provide easy access to the hook to make sure you catch them. As with just about anything you try to fish, if you are looking for something in the wrong area, then chances are good that you won’t have a whole lot of success when you try to fish for the Bluegill. If you hit the water looking specifically for Bluegill, pay attention to some of the more shallow water that you are going to find as they typically like to hang out in those areas most often. If you find some quick moving water, move away from there into some of the slower moving areas of the river or stream since that is where the Bluegill are most likely going to be. The shallower and slower the water, the better chance you’re going to have. As previously mentioned in the section above, you want to make sure that you are going fishing at the right time if you want to have the best success in finding Bluegill on the water. Typically, you will find that they are most active towards the beginning of spawning which happens around May. However, the Bluegill will stay active for a long time after that and their active time can stay all the way to the end of August. If you fish outside of these times and months, it might be more difficult to try and find the fish when you’re out on the water. Of course, everything depends on luck so there is no guarantee of finding them even when hunting at the right times. As with most types of fishing, there is a lot of helpful information that you can keep in mind when it comes to Bluegill fishing and the more you remember, the better success you are going to have and the better chance you have of catching the most fish. When it comes time for you to hit the water, the most important thing for you to remember is the information that was presented above. While it might seem like a lot at a time, I can promise you that it will be simple for you to remember after a while and the results are going to be a remarkable difference compared to what you are used to. Great advice. Bluegill are tons of fun to Target.